Seti River is a unique, pleasant, and picturesque river passing through two beautiful and contrasting scenic areas. Relatively small volume, blue and warm water makes this perfect rafting for beginners, intermediate, and familiars. The Seti begins on the southeast slopes of the sacred Mountain Fishtail and then flows south as a fairly typical Nepalese mountain river. The gentle river gives way to plenty of small and straightforward rapids. 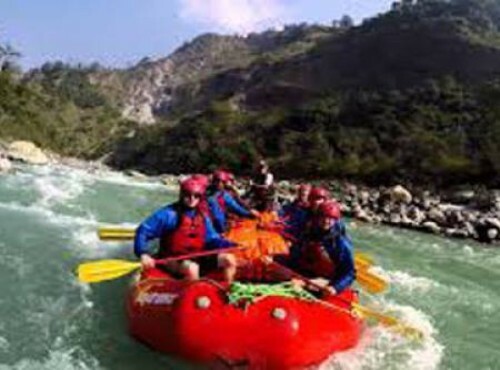 During the monsoon, the intensity of the rapids increases and attracts a radically different set of rafters. Depending on the time of year, the Seti River can offer an ideal trip for those wanting to experience first-time river adventure, or those just learning to kayak. Day 01: Drive from Kathmandu / Pokhara to Damauli, put-in, proceed halfway down jungle corridor. Day 02: Steady day to Sarang ghat or push on to the big class 3 rapids above the Trisuli confluence. Day 03: Sarang ghat to Trisuli confluence or take out, drive back to your next destination.